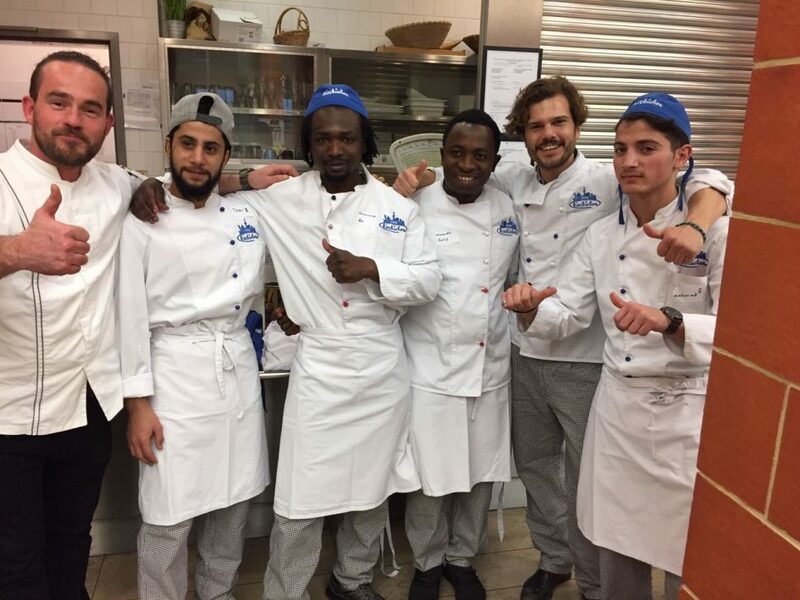 30 employees from Hilton Berlin spent a culinary day together with 30 refugees from Arrivo-Hospitality and other kiezküchen-projects. The program: get to know the industry, preparation of a tasty dinner, practice job interviews and most important getting in contact for a later internship or vocational training. This mutual inspiring experience ended with long chats about the whereabouts of diverse traditional local cooking ingredients, tales of flight and home and a dinner of delightful Arabic specialties.